Straya POS Terminal Beta tests begin ! 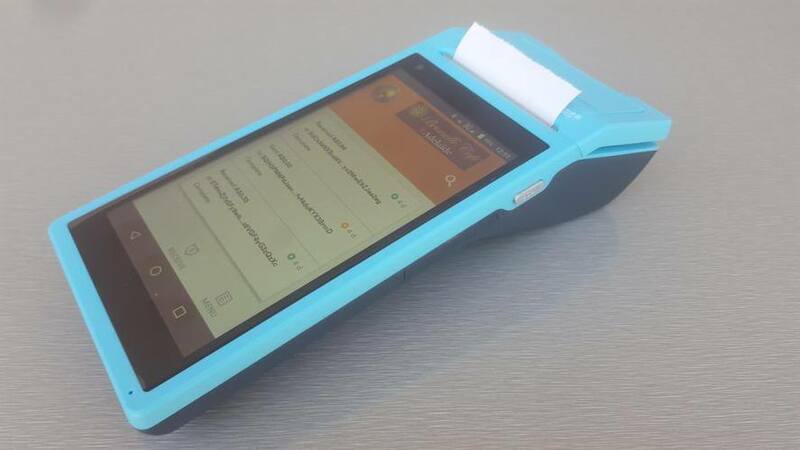 Orange POS Terminals have arrived from our overseas supplier and started to be deployed in businesses. We have updated https://www.strayacoin.org/strayapos/ with new artwork and videos showing the terminals in action. 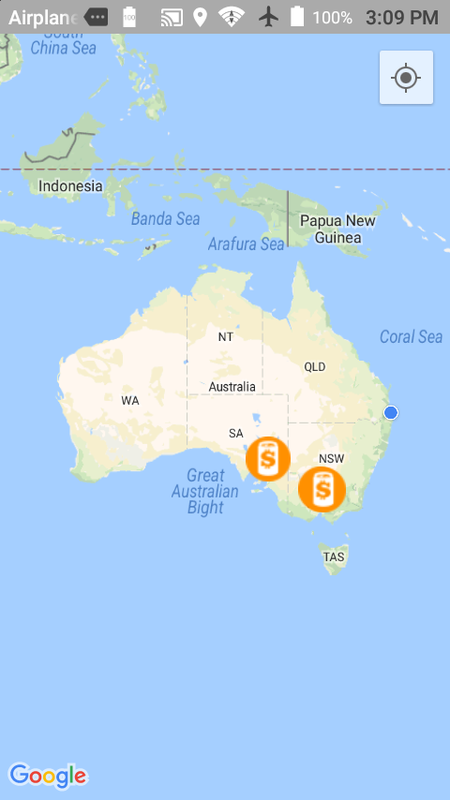 Also, there is now a map for businesses accepting Strayacoin available on the web at https://explorer.strayacoin.org/businesses ..so a great time to get out there and spend some NAH supporting the early adopters of this disruptive technology. 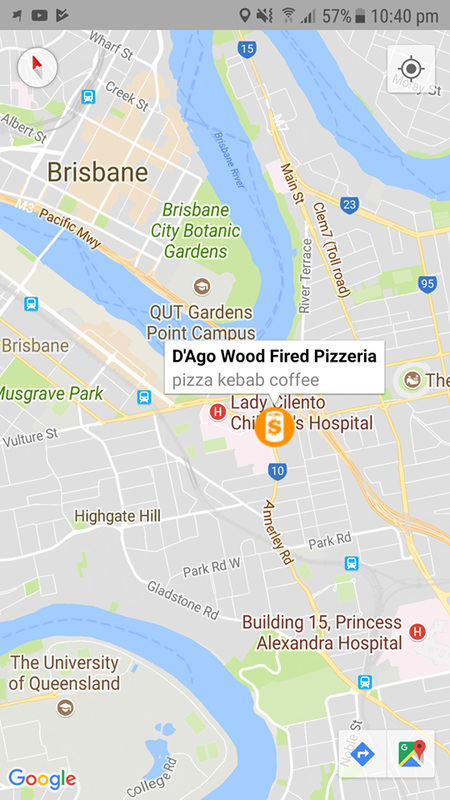 Use the in-built map in the Android Strayacoin Wallet to guide you to the selected business. 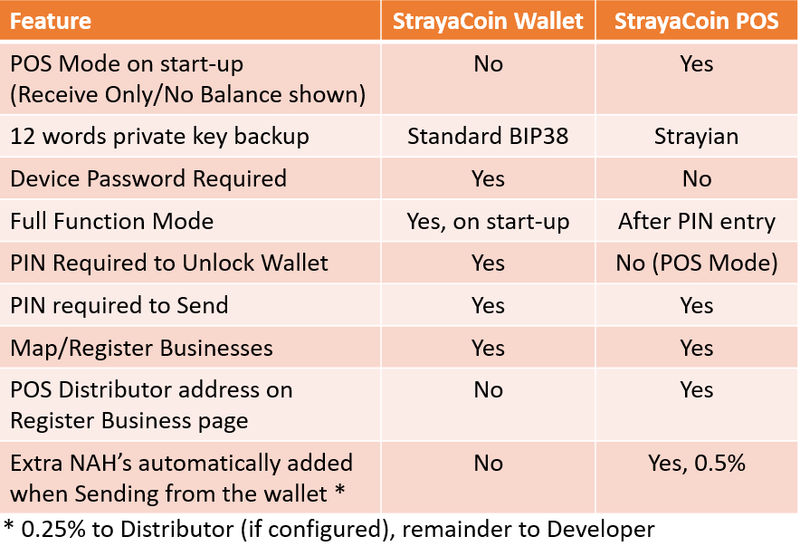 Strayacoin has updated our Core Wallet software in response to this, and posted the updated source code and release software on github (a click through from our website takes you to the releases for download). 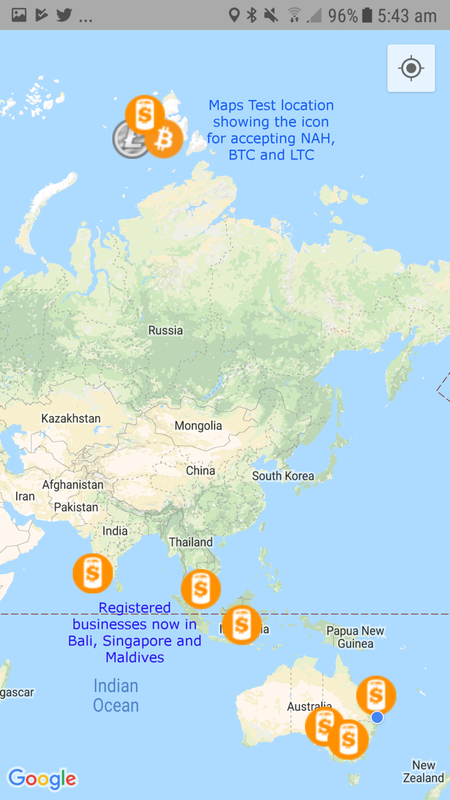 Take your strayacoin on the road, and now overseas ! Earlier today, our devs pushed the Shiraz release of Strayacoin Android Wallet and POS solution to the Google Play Stores worldwide. Why Shiraz..its for the mature red wine palette..this release is full bodied solution that represents a key milestone in our journey to drive mainstream adoption. Included is the release of a full Crypto POS Terminal, now ready for Beta testing (as you would have seen the video previews over the last couple of weeks..more videos will be posted in the coming days). 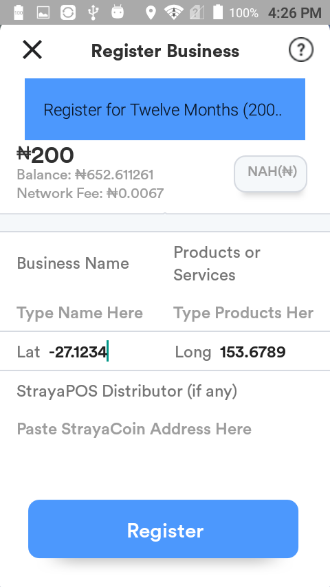 Strayacoin now has more that 48,000 addresses (mostly in the Windows Wallets), and now we have over 200 mobile wallets. 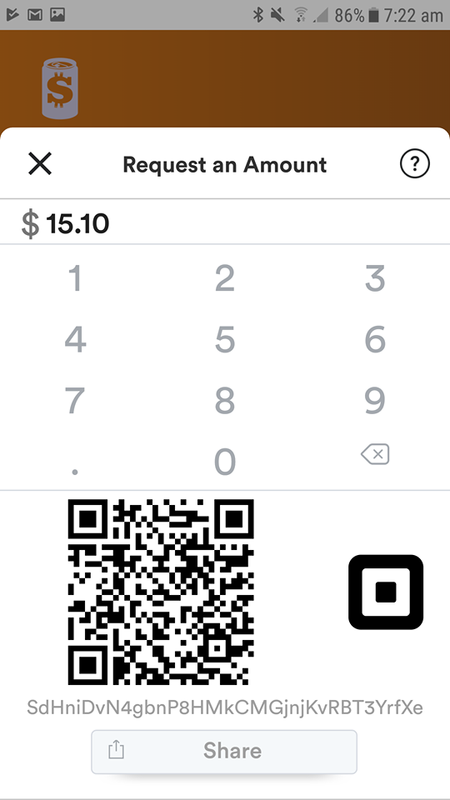 In this release, we have added significant features to the mobile and payment experience. 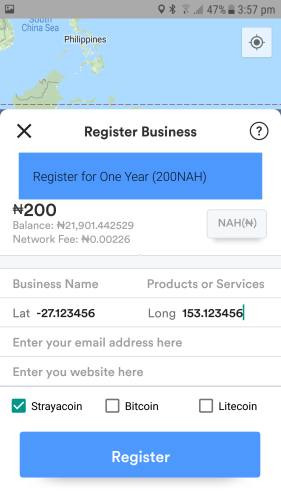 – businesses who register will have their logo displayed in the upper right corner of their POS Terminal or Android phone running in POS Mode. – to show the different cryptos the businesses will accept..strayacoin is mandatory for registration! – website clickthrough – clicking on the business once brings up the info screen, clicking again takes you to the business website, if registered. As communicated earlier, there is a Distributor Model built into the POS Solution…Anyone can place a POS Terminal into a business and receive ongoing commissions !..there are now more incentives for businesses to register, since they get advertisements to all mobile wallet holders and can register multiple cryptos. Registrations are only accepted in NAH. 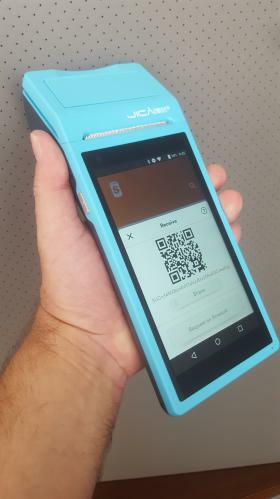 We will soon rollout a plan covering POS Terminal Hardware and ongoing data plan….but first we will go with limited beta testing..this will take time to deploy and gather the feedback…but pretty soon, the future of crypto payments will be in your hands. 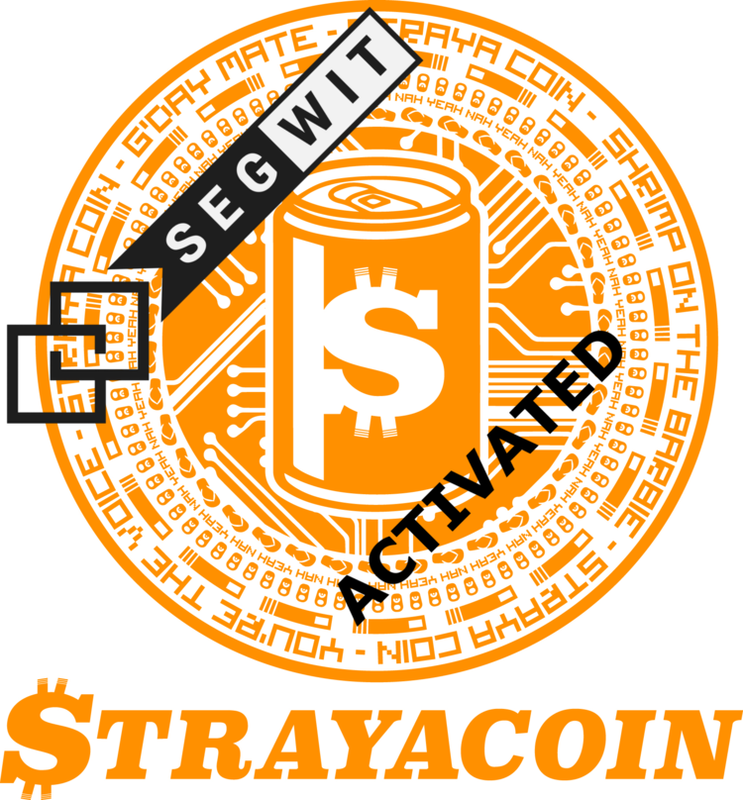 A lot of developments with our coin and more to come..
We are pleased to announce that Segregated Witness and CheckSequenceVerify are now active on the Strayacoin blockchain. Well that’s a mouthful worthy of Clive, I hear you say….think of this like ordering Surf and Turf..the steak is the foundation, but everyone wants the prawns on top to really make it sizzle. Commonly referred to as SegWit and CSV, and already active on bitcoin and litecoin, these two blockchain enhancements form the foundation layer for future developments in second layer protocols where a lot of development efforts are currently being directed to bring cryptocurrencies to mainstream adoption. The first is Lightning Network Payment Channels where Micro payments such as time based subscriptions are possible, as well as realtime confirmations. The second is cross chain trading between cryptocurrencies (atomic swaps). Both of these examples require time locked transactions enabled by CSV to “hold” funds until settlement. To celebrate, there will be a competition on Cryptocobbers group..stay tuned.